I have had quite a few people ask if I will be selling any RhyPiBoMo items. It didn’t occur to me in the beginning and then I didn’t have the time to set it all up during the event, but I’m thinking that I will look into it more next week. 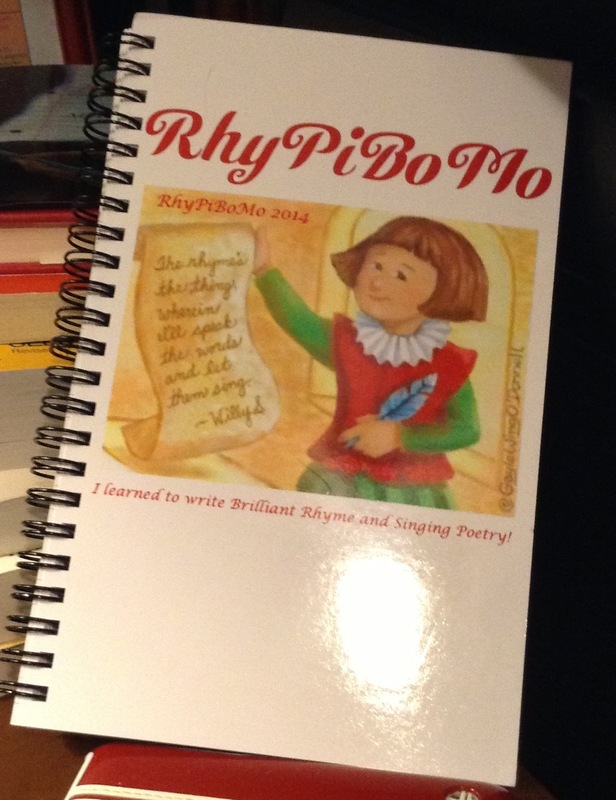 Please comment if you would be interested in purchasing a coffee mug or a notebook with RhyPiBoMo on it. Or, suggest anything else you might be interested in. 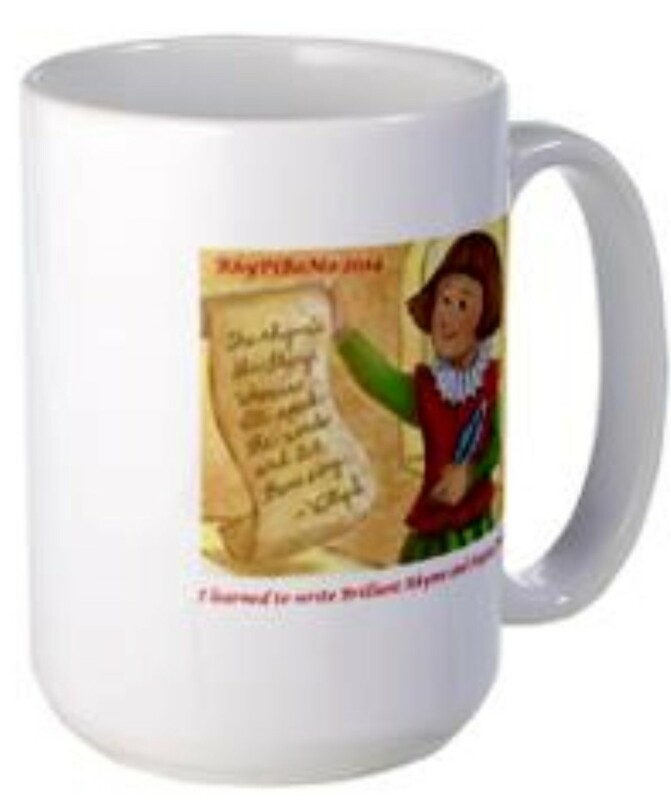 I did look into CafePress as an option. a notebook or coffee mug? You must check it out! I am hoping to take her Making Picture Book Magic class in the fall, when life slows down a bit. Here is the link: http://www.susannahill.com/MAKING_PICTURE_BOOK_MAGIC.html I have heard such great things about her class! You should check it out! Hill’s the name, and rhyming’s my game! Except… uh… it’s not actually. So how am I doing? Do I blend? Because here’s the thing: I write stories in rhyme. Some of them have won prizes. Some of them have been published! But all the while I’m carrying a guilty secret, just waiting for the moment when someone cottons on, because… *draws shaky breath in readiness for confession*… I have no idea how I do it. I don’t know any of the rules. I don’t know an anapest from a dactyl from an iamb – they’re all Greek to me. Caesura? I’m pretty sure that’s a hairstyle popularized by Julius and Augustus. Enjambment? I think that might be a kind of raspberry sauce. So what am I doing here? you ask. I’m here to let you know that you don’t have to know all those poetic terms to write rhyming picture books. (Don’t tell my high school English teacher I said that.) You just have to be able to feel. Rhyming poetry is like music. It has a rhythm – a rhythm you can feel. 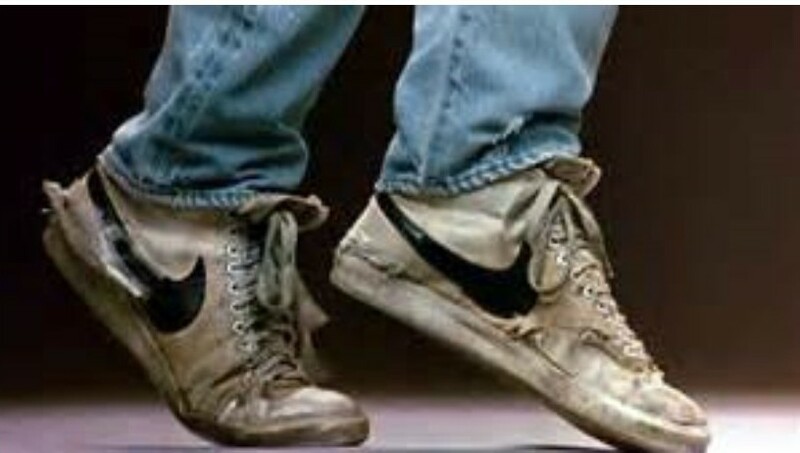 Have you ever seen Footloose (the original fantastic one with Kevin Bacon, not the dreadful remake =)? Do you remember the scene where Renn is trying to teach Willard to dance? They clap hands to the beat of the music, and bang on the dashboard, trying to get Willard to feel the rhythm. You can do that with poetry. Let’s try it first with something easy. Think of childhood songs like Itsy Bitsy Spider, London Bridge, The Farmer In The Dell, BINGO, Twinkle Twinkle Little Star, and Yankee Doodle. You can learn from them. Tap it out on the table while you sing – a strong tap for the word or syllable that the song makes you want to accent (i.e. put more stress on) and a lighter tap for the softer, less-stressed syllable. Or, if you’re a get-up-and-go type, walk around the room. Take a heavy step for the accented words/syllables and a tiptoe step for the softer/unaccented ones. You can use songs like this, or well-known nursery rhymes, or even the rhyme structures used in the picture books of all the fabulous writers who have posted this month as models for your own rhymes. Read the song, nursery rhyme, or picture book rhyme aloud. Find the pattern of accented/unaccented. Tap it on the table or walk around the room. Feel the rhythm. Then copy the pattern with your own words. Now let’s try it with a plain rhyme (no music). Don’t be scared. You can do it! FREIGHT train’s PULL-ing FROM the YARD. “SAFE trip!” CALLS the STAT-ion-MAS-ter. CHUG-ga, CHUG-ga, TRAIN rolls FAS-ter. All you have to do is pick a rhythm and stick to it! Susanna Leonard Hill is the award winning author of nearly a dozen books for children, some of which accidentally rhyme. Her titles include Punxsutawney Phyllis (A Book List Children’s Pick and Amelia Bloomer Project choice),No Sword Fighting In The House (a Junior Library Guild selection), Can’t Sleep Without Sheep (a Children’s Book of The Month), and Not Yet, Rose (a Gold Mom’s Choice Award Winner.) Her books have been translated into French, Dutch, German, and Japanese, with one hopefully forthcoming in Korean. Her newest book, Alphabedtime!, (one of the accidental rhymers) is forthcoming from Nancy Paulsen Books, an imprint of Penguin Books, in Fall 2015. She lives in New York’s Mid-Hudson Valley with her husband, children, and two rescue dogs. 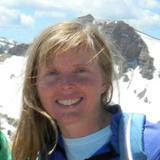 Thank you Susanna Leonard Hill! Let’s see how our Picture Book Cake turned out! I’ve been baking this cake for years but it has never turned out quite as well as it did today. I know the reason why…Because of all the poetry that I’ve studied in April. Those poetic elements have really made my cake rise higher than ever before. It is light on words, moist with rhyme and so rich with lyrical texture that I can’t wait to serve it up to an editor or agent. But, of course, it will be served to my critique group first! us Rhyming Picture Book Cake Bakers! This graphic is for you RhyPiBoMoers! Please enjoy and promise to share it with other rhymers out there! 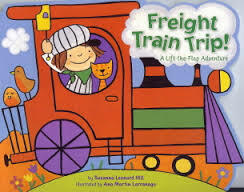 This is the classic picture book structure that has been handed out to me year after year at conferences and workshops. It hasn’t changed from this format in my 12 years of writing for kids. I think the reason it hasn’t changed is because it works! Of course, your book doesn’t need to have each item exactly on the page where this is suggested. It is merely a guideline for you to base your work on. 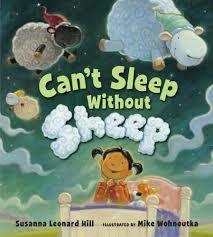 Unfortunately it doesn’t help us rhymers with our specific goals in writing rhyming picture book manuscripts. Pages 12-13: Things Get Worse! Page 18-19: Things Get Worse! Pages 24-25 Black Moment: Things Are at Their Worst! The thing that is missing from this wonderful list is the rhyming aspect. That’s because this is such a specific area that we have chosen and no one has created a list for us that includes the rhyming aspect of the picture book. Not that I’m aware of anyway…and I’ve been looking. 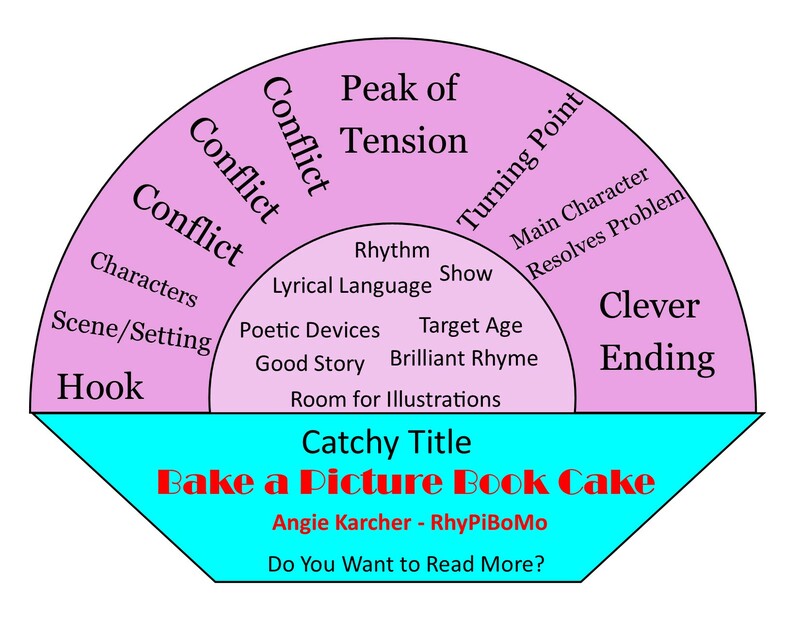 I have created another visual that adds all these elements together so you can ensure success with the picture book guidelines and the poetic devices necessary to write a superb rhyming picture book. 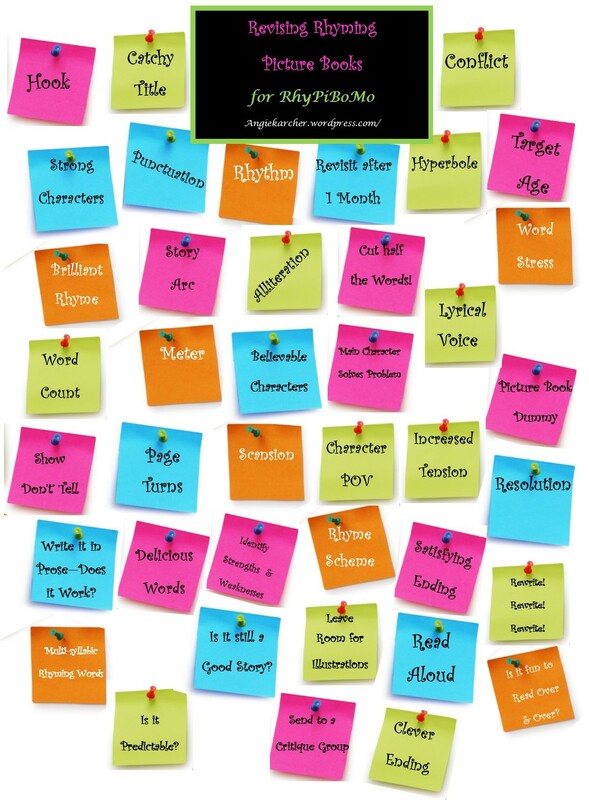 to help with writing rhyming picture books! Start at the upper left corner and move down and over to the right gradually and you will find yourself at the bottom right with everything you need. There is not a definite order of things. I prefer this flowing list rather than a definitive list because we all have different processes. When I use a revision checklist, I never follow it in the order it is written. You probably don’t either. As long as you get to the bottom right with a rhyming picture book that is ready to submit…that’s the goal. I say if it’s not broken…don’t fix it! So I highly suggest that you apply the rule of threes in all your writing, especially in your story arc concerning the conflict, the common use of beginning, middle and end and when you give examples. Writing Prompt: Use the Bake a Picture Book Cake graphic and the Revise Rhyming Picture Books graphic and apply them to your work-in-progress. Enjoyed your post today about the author because my son says I should listen to music more to help my natural rhythm. Also liked the PB structure with the added rhyming bulletin board. Susanna explains it so well and I love her example of stresses and syllables and picking one type of rhyme ot practice with. Thank you too Angie for the great checklist! Another inspiring post ! Thanks for all the hard work and good humor! Susanna, you crack me up. “Enjambment is some kind of raspberry sauce” – HAHAHAHA! You are one of a kind and we love you! And you are also a fabulous rhymer and poet, so come out from behind the dessert table, wipe the chocolate off your chin, and take a bow. Loved this post! 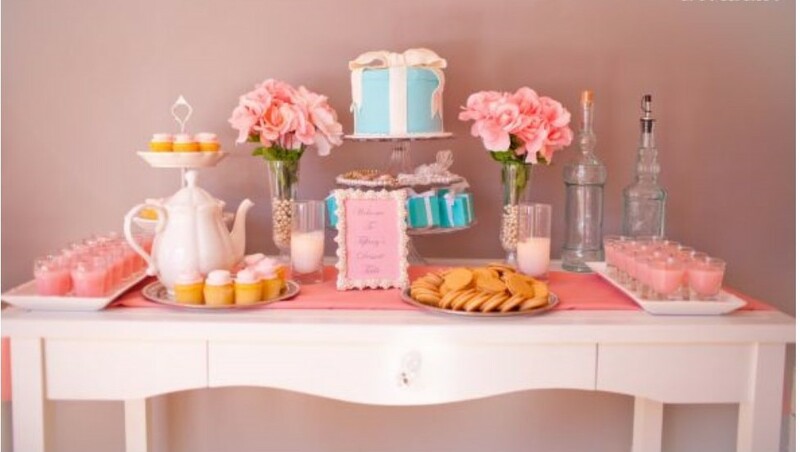 cake is fattening AND delicious if baked just right. Thanks Angie and Susanna. Every post gives me hope of doing something right. Susanna, you are so funny! Thanks for the uplifting advice. I love your bulletin board post-its for revision, Angie! Love the cake and will use the helpful checklist! Inspiring post by Susanna. Thank you Susanna, what a great post! and way too funny…”Caesura? 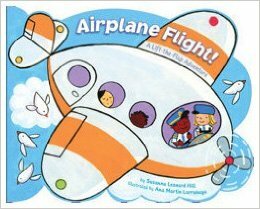 I’m pretty sure that’s a hairstyle popularized by Julius and Augustus.” I just received my copy of Airplane Flight! Perfectly timed to go with your wonderful advice! Wow – love your organizers – Thank you! 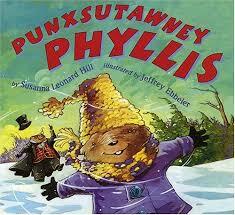 Love Susanna Leonard Hill’s April Fool, Phyllis and her post for RhyPiBoMo was great too! It gives me hope. Susanna, You give me hope. After a month of trying to learn all these techniques from fantastic writers, it is encouraging to get advice from someone who feels rhythm in her soul. Thank you for your delightfulost. Thank you Angie for your cake and advice. It is very useful. Well not really a piece of cake, but what a great post!!! Singing with you, Susanna, while enjoying the whole cake, Angie. I don’t mean to be a hog, but just a piece of the cake isn’t quite right! Thanks and more thanks. Love the post. I hope some day to be able to make a tasty rhyming picture book cake. I’m an accidental rhymer too. Been doing it since I was a freshman in High School. It just happens. I remember my parents saying when they got their first camera in the early 1950’s they took wonderful photos until someone taught them about all the dials on the camera. I was concerned that would happen to me this month. With all the technical information, would I lose my rhyming groove? But I’m still waking up in the morning with rhyme in my head so think I’ll be okay.